Next time you enjoy a delicious slice of fresh-baked bread think of Maurice Sinclair! He has recently returned to Australia from an extensive tour of South-East Asia and of Europe where he has been studying the latest practices in distribution of fast-moving consumer groups with special emphasis on bakeries. His tour followed completion of a four-year project in which George Weston Foods had commissioned Maurice’s consultancy, Logistics Bureau, to review its Australian distribution operations. The review identified many millions of dollars-worth of cost-saving opportunities and service improvements. It also created a long-term strategy that affected everything in the supply line from the profitability of individual products, through breadroom operations, even to examining running costs of individual delivery vehicles. This aspect was part of a successful strategy by Brian Robinson, GWF’s chief executive, to revitalise the Tip Top bread company’s distribution operations and to employ outside strategic advice to help. Logistics Bureau is a leading international consultancy and Maurice Sinclair is its specialist on time-sensitive FMCGs. It has offices in Australia, South Africa, Thailand, and in London. 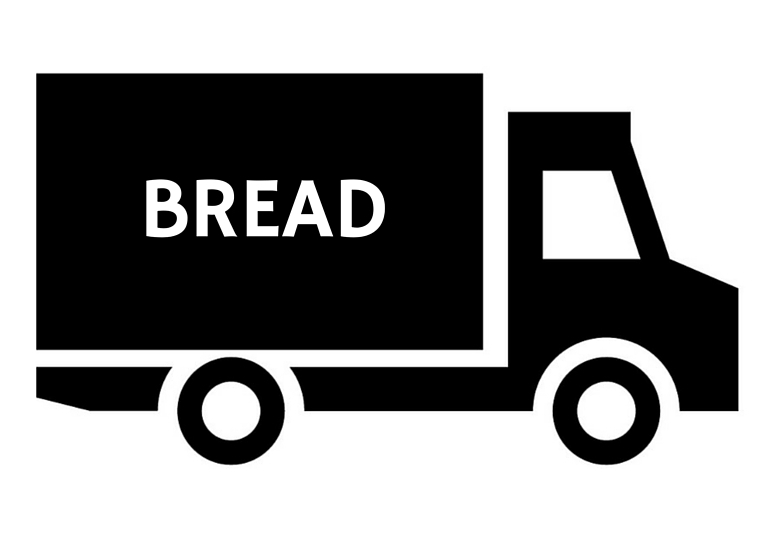 The first thing to know is that bread is one of the world’s toughest distribution challenges. GWF dispatches hundreds of thousands of loaves daily to several thousand sales outlets with each outlet having two sales peaks – one to take advantage of the 8 – 10 morning peak sale time, the other to serve the 4 – 7 afternoon-evening demand. So while other supply chains think in terms of weeks and months a big baker has to think in terms of hours and minutes. This task is compounded by the large reverse logistics effort required due to the fact that bread is generally sold to major supermarkets on a sale or return basis. Plus it is sold in crates that stack on to dollies that also require return to the bakery! Research shows that empty shelves mean lower sales; so grocery category managers always aim to have their shelves fully stocked at and during peak demand periods – an interesting problem for merchandisers when you remember that bread demand is compressed into these two daily time slots! So supplying enough bread to fill shelves is a critical tactic in the overall strategy. Bread distribution is in fact a supply rather than a demand function given the requirement to ship fresh product daily to a one day marketing life span and the closeness of production function to distribution activity. The key to getting the baking strategy right is being able to match volume and variety to demand. Distribution plays an integral role in the success of this objective; however there are still many other variables affecting demand, such as weather, promotional activity in the market and so on. If it all seems obvious now that is because of the amount of careful research that went into assessing the situation in the first place. People have been baking bread for thousands of years and GWF has long been up there with the biggest and best of them. So finding something new needed research that embraced the entire supply including the financial impact to shareholders of problem areas. The involvement of GWF’s senior management team was critical to the project’s success. Logistics Bureau’s advisors worked very closely with Brian Robinson’s team driven to deliver a well-accepted change management program. We began by holding a series of supply-chain workshops to identify problems and issues. As a combined team we then grouped what we discovered into themes that produced the strategy that has proven to be commercially successful. Profitability of different customer types. Costs of transferring product between plants to consolidate orders. Analysis of the different customer types and the relative distribution issues associated with each, helped us articulate the cost-to-serve improvement opportunities. The type of distribution method used partly determines the cost to serve. Customers serviced by vendors (similar to van salesmen) incur a different cost than those serviced by company drivers. Vendor and company vehicles service route and bulk customers. As a rule of thumb the higher volume a customer receives the lower the unit cost of distribution. The mix of bulk and route combined with density of customers in a given region is what determines the speed and number of deliveries by the vehicles. So an inner-city driver with few stops but many deliveries per stop should show higher productivity than a delivery to, say, the outer west where there are more kilometres between stops and fewer deliveries per stop. Contrast all that with a grocery customer who may take 1000 units a drop during a 20-minute stop. Then the delivery stop costs $20 but brings in $2000 and costs only around 2 cents per unit per stop. Optimising delivery aspects will inevitably flow on to other areas such as merchandisers as they are generally scheduled to service the big stores after the delivery is made. It also impacts on manufacturing because if the time window is changed for a given group of customers then the distribution changes, the merchandising changes, as does the timing of production for those affected customers. Results speak for themselves and this project is providing long-term dollar benefits and Brian Robinson’s team continues to be GWF’s most profitable division.